the Ridekick power trailer. What's your beyond. Ridekick power trailer - What's your beyond. Ridekick International will provide a 1-year warranty for all manufacturing defects on the Ridekick™ power trailer to the end customer from the date of purchase. The Ridekick™ power trailer battery is covered by a separate warranty and therefore is not covered under the general product warranty. Warranty applies to the original owner only and cannot be transferred. Ridekick International will provide a 6-month warranty for all manufacturing defects on the Ridekick™ power trailer battery pack to the end customer from the date of purchase. 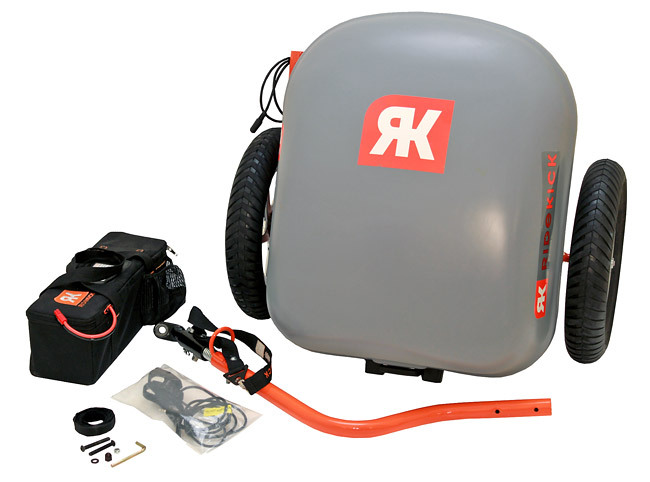 An independent product reviewer made a video on his perceptions of the Ridekick power trailer. It is lengthy at 12 minutes, and it also shows how to set it up. 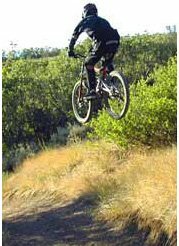 The rider chooses the amount of “boost” applied to the bike through an easy throttle action. Powering a bike 12-15 miles on one charge; farther with a battery upgrade. Can be hitched/unhitched to any bike within seconds. First-time installation takes 10 minutes. 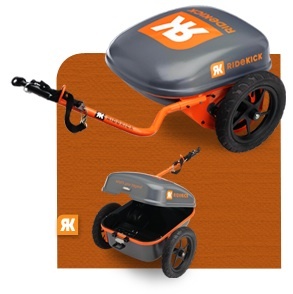 Versatility; upgradeable storage shells attach easily and securely to carry rider gear, bags, etc. Weather resistant storage is lockable. Designed to be safe, stable in turns, when stopped, and when carrying heavy loads. You can look for dealers at the RideKick Dealer Locator page.